Race into battle with the II T7 Combat Car ! 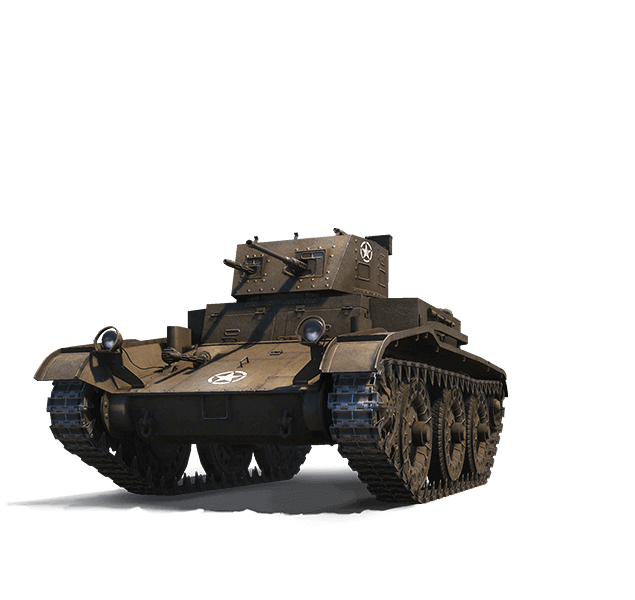 It's an American Tier II light tank that packs a lot of ammo for a fearsome amount of chaos. This vehicle is perfect for collectors who enjoy speed and high damage potential. Great burst damage! Enough to destroy 2 vehicles without reloading. Nice gun handling. Quick aim time, gun elevation, and depression. Speedy tank. Fast top speed and acceleration for. Weak armour. Brawling is not recommended. Penetration is not strong. But you can still take advantage of its high burst damage by flanking. Not the best view range. Leave the scouting for allies who excel in this area.